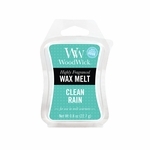 Home > Shop by Brand A-Z > WoodWick Candles > Discontinued & Seasonal WoodWick Items! 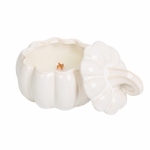 Home > Shop by Category > Candles > WoodWick Candles > Discontinued & Seasonal WoodWick Items! 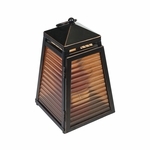 WoodWick is retiring some of their fragrances and products to make way for new items. 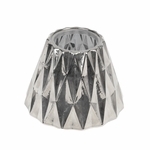 The discontinued items include select fragrances and styles. LIMITED QUANTITIES. Get them while supplies last. CLOSEOUT - Mums WoodWick Candle 22 oz. CLOSEOUT - Autumn WoodWick Candle 22 oz. 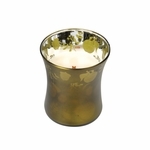 CLOSEOUT - Pear Cider WoodWick Candle 22 oz. 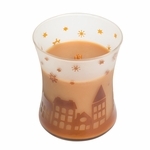 Juicy pear and ginger melt into a warm cider with notes of clove and vanilla. 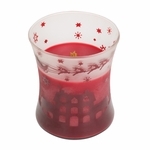 CLOSEOUT - Cranberry Cider WoodWick Candle 22 oz. Classic cranberry blends with apple and a hint of spice for a warm yet crisp berry cider. CLOSEOUT - Cherry Bark WoodWick Candle 22 oz. Sugared maraschino cherries and whipped vanilla cream are enriched by warm amber and plum for a fragrance that is both savory and sweet. 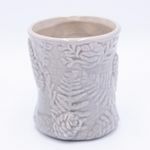 CLOSEOUT - Mint Truffle WoodWick Candle 22 oz. CLOSEOUT - Cedar WoodWick Candle 22 oz. 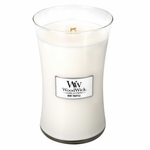 CLOSEOUT - Timber WoodWick Candle 22oz. Bright notes of citrus and musk combined with an aroma of amber. 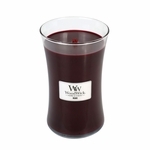 CLOSEOUT - Cranberry WoodWick Candle 22oz. Unlock sweet memories of seasonal gatherings with this traditional fruity fragrance. 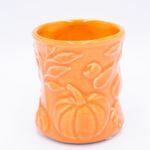 CLOSEOUT - Pumpkin Muffins WoodWick Candle 22oz. Warm pumpkin puree combined with sweet muffin batter, nutmeg, and black strap molasses. CLOSEOUT - Cinnabark WoodWick Candle 22oz. Shaved cinnamon bark sparkles with hints of warm vanilla. CLOSEOUT - Sonoma Sunset WoodWick Candle 22oz. 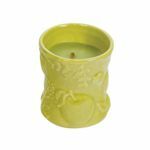 Fruity peach notes mingle with bergamot, cinnamon, sweet balsam, and vanilla. 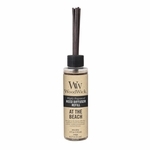 CLOSEOUT - Vineyard Nights WoodWick Candle 22oz. A smooth blend of red wine accord with bright notes of plum, green fig, and a base of warm musk. CLOSEOUT - Baby Powder WoodWick Candle 22 oz. The delicate scents of powdery vanilla, honeysuckle, and a whisper of rose. CLOSEOUT - Christmas Classic WoodWick Trilogy Candle 22 oz. A delicious blend of fresh pumpkin, warm spices, and sweet buttery notes. Crisp, complex pomegranate with notes of cassis, soft florals, and rich undertones of rum and musk. Tempting notes of ground cinnamon and nutmeg swirl with caramel-drizzled apples and sweet maple wine.